(purple cupcake) Red Heart With Love Chocolate & Bernat Dippity Dots Lavendar. 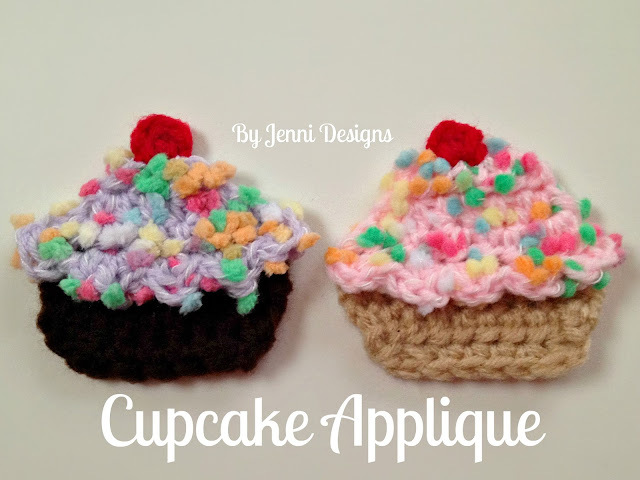 Recently I needed a little something to jazz up a birthday card so I crocheted up this cupcake applique. 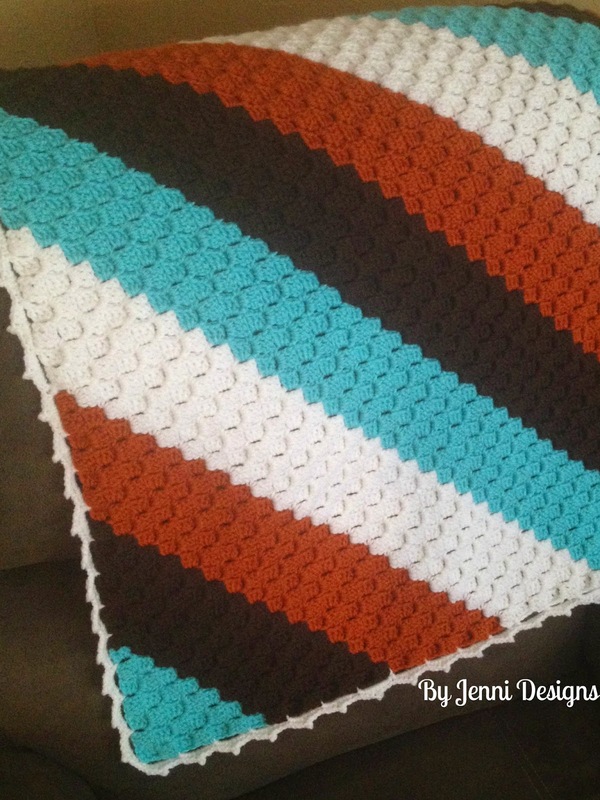 This is pretty easy pattern and the fun Bernat Dippity Dots yarn is so perfect for this project! Finished Size: Approx. 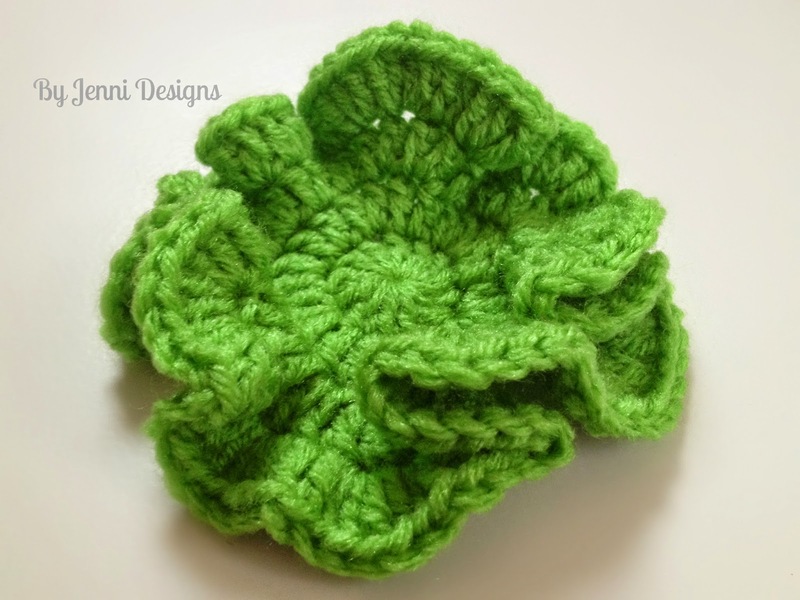 3" x 2.5"
-Joins are made with sl st.
Row 4: In FLO: [Hdc, dc, hdc] all in the same sp. *Sl st in next, [hdc, dc, hdc] in next* Repeat *to* to end. Fasten off leaving long end for sewing. The next row will be worked in the un-worked back loops. Row 7: Hdc2tog, hdc in 5, hdc2tog. Ch 1, turn. Row 8: Sc2tog, sc in 3, sc2tog. Join with Cherry Color in top, center space of cupcake. [Sc, hdc, hdc, sl st] all in the same sp. Fasten off and sew in ends. 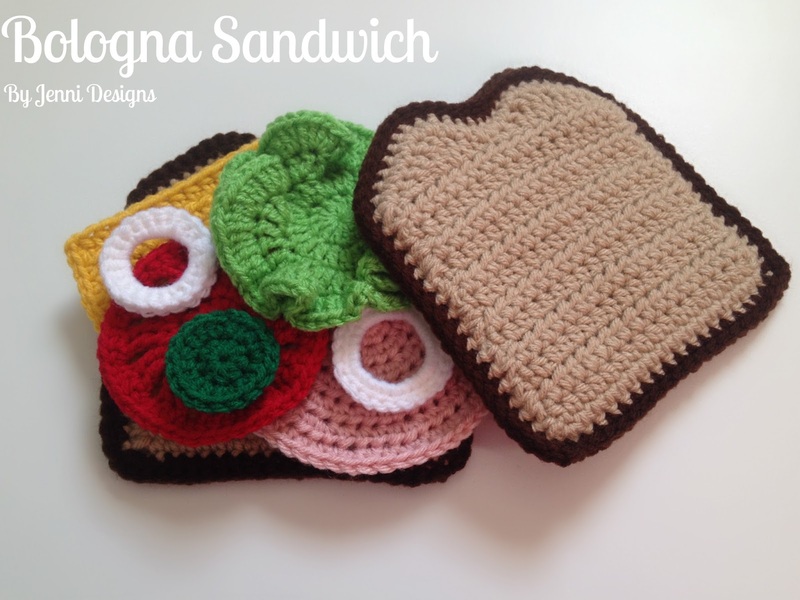 Earlier this week I sat down and crocheted up this fun pretend sandwich as a surprise for a little girl that I know, it turned out so cute I made a 2nd set and wrote out all the patterns so I could share here! 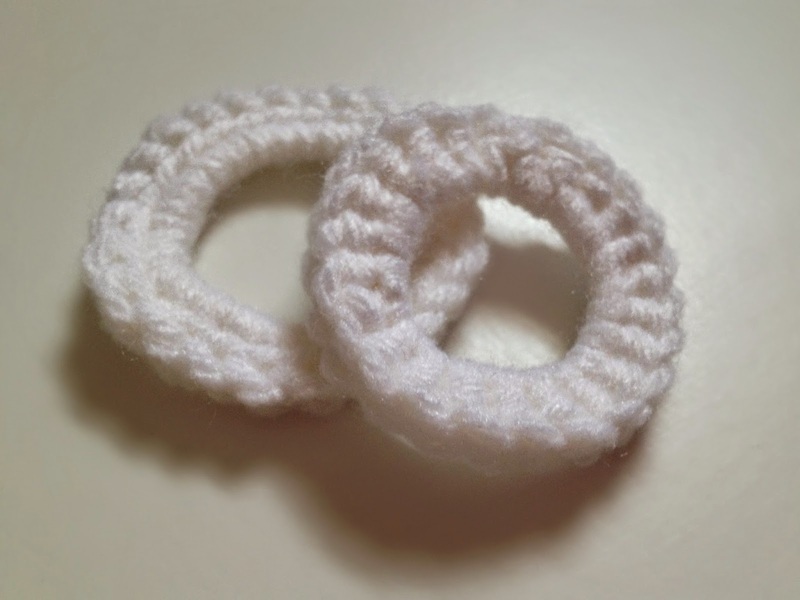 I tried a couple different yarns and listed them below in the supplies for you. Enjoy & if you have any questions at all feel free to ask. Approx. 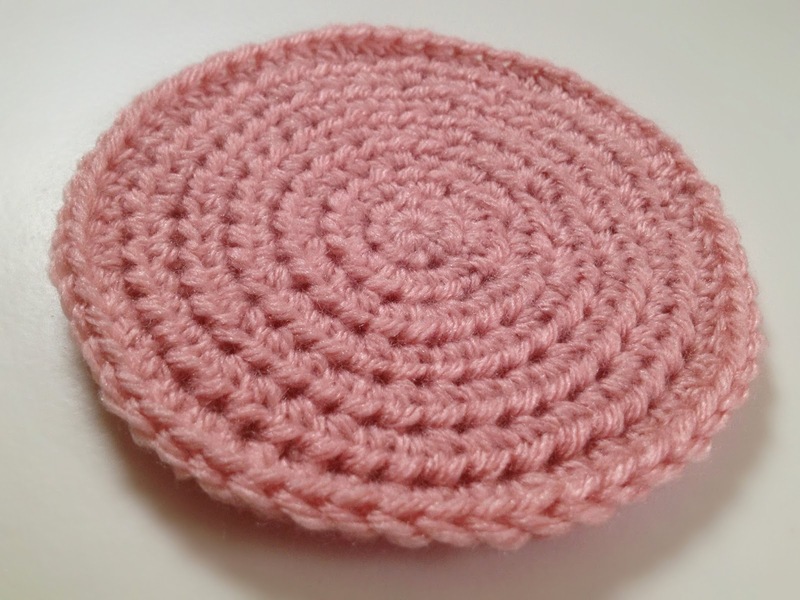 finished size: 5 1/2" x 5 1/4"
-Ch 1 does not count as hdc in final stitch count. -Stitches listed inside of brackets [ ] indicated a group of stitches worked into the same space. -If you would like a thicker slices of bread hold two finished slices together with WS facing each other and sl st along the edges or sew them together. You will need to make 4 slices total if you use this option. Row 13: Turn. Sl st in first, sc, hdc, dc, [dc, tr], [tr, dc], hdc, sc, sl st, sc, hdc, [dc, tr], [tr, dc], dc, hdc, sc, sl st. The side facing you is the RS. Now you will need to rotate the piece to the right so you can work along the edge, ch 1, sc along edge, *ch 2 and sc along edge* Repeat from *to* one more time. Join with sl st to ch 1 from beginning of row 14. 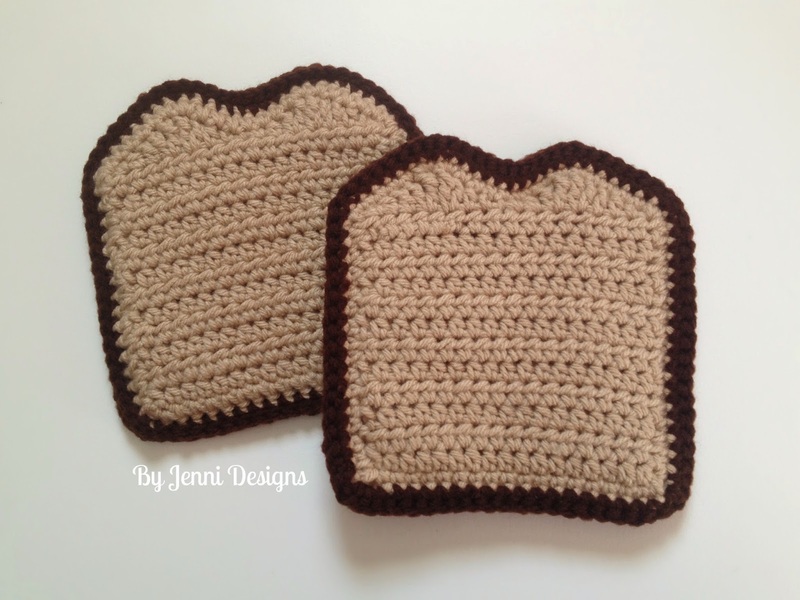 Join dark brown in any space and sc along the entire edge of bread, work 2 sc in each tr from row 14 and ch 1 at each corner. -Ch 2 does not count as dc in final stitch count. 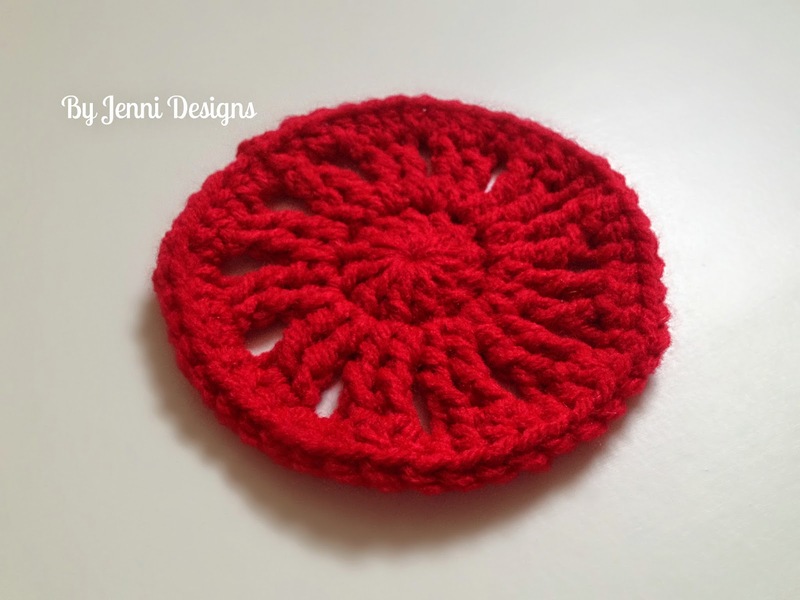 Fasten off, pull circle tight and sew in ends. 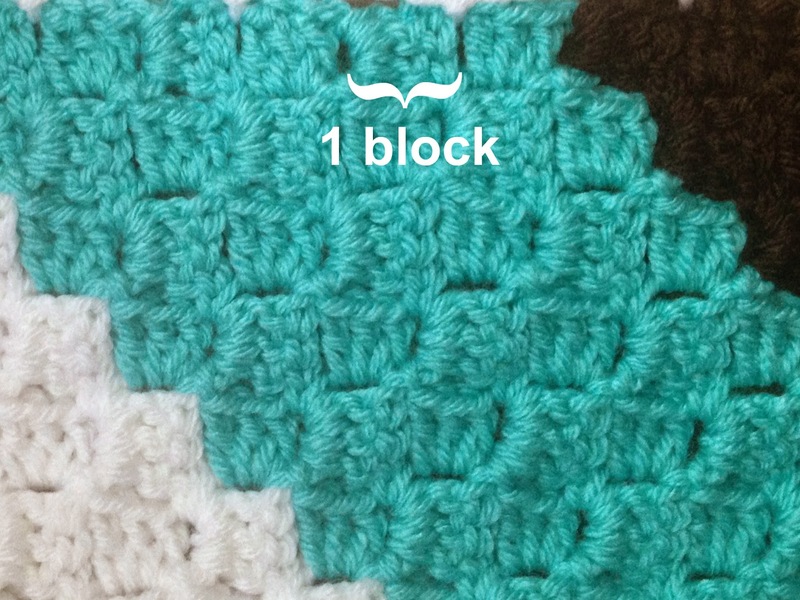 -Ch 1 & Ch 2 does not count as a stitch in final stitch count unless otherwise stated with the pattern. Optional: After joining sl st around entire edge. -Ch 1 does not count as a stitch in final stitch count. Magic circle, ch 1, sc in circle 30+ times. You can make your onion as big or as small as you wish. Join with sl st to beginning sc then sl st all the way around. Fasten off and sew in ends. Approx. 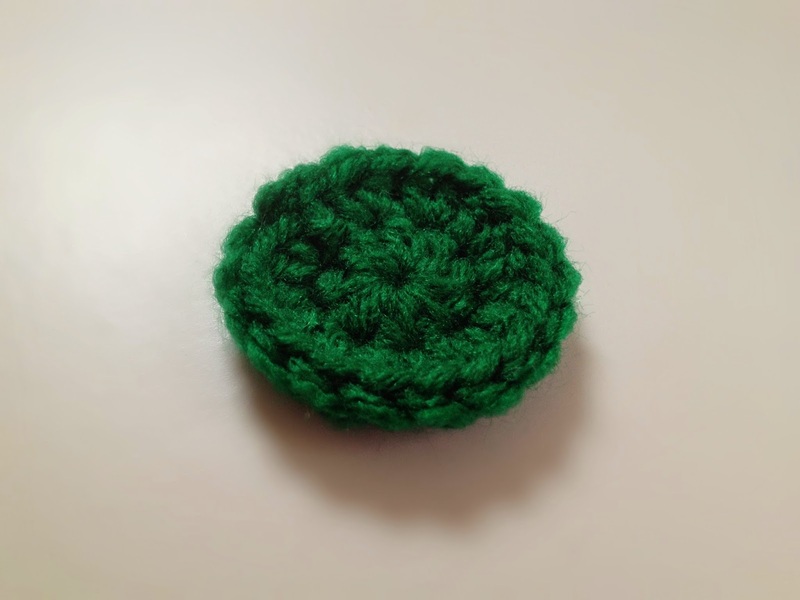 finished size: 4" x 3 1/2"
Ch 2, rotate piece to the right so you can sc along the entire edge. *Ch 2 at corner, rotate piece again and sc across edge. * Repeat from *to* one more time. Fasten off and sew in ends. I have made quiet a few corner to corner blankets and have used a variety of edges for them, I usually just do whatever I please without writing it down but thought maybe I'll start sharing here because I often get asked how I created my edge. 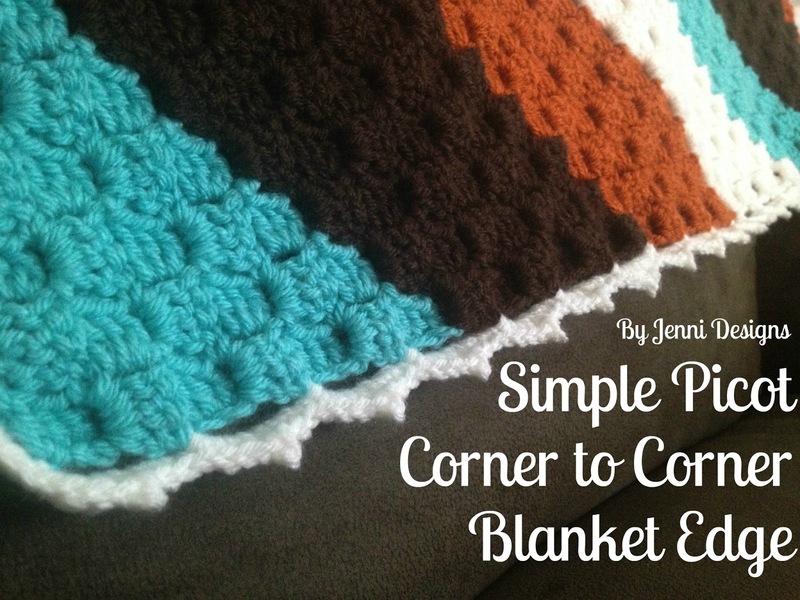 For my corner to corner blanket shown I used a size I Hook and this free pattern: Red Heart Corner to Corner Throw. 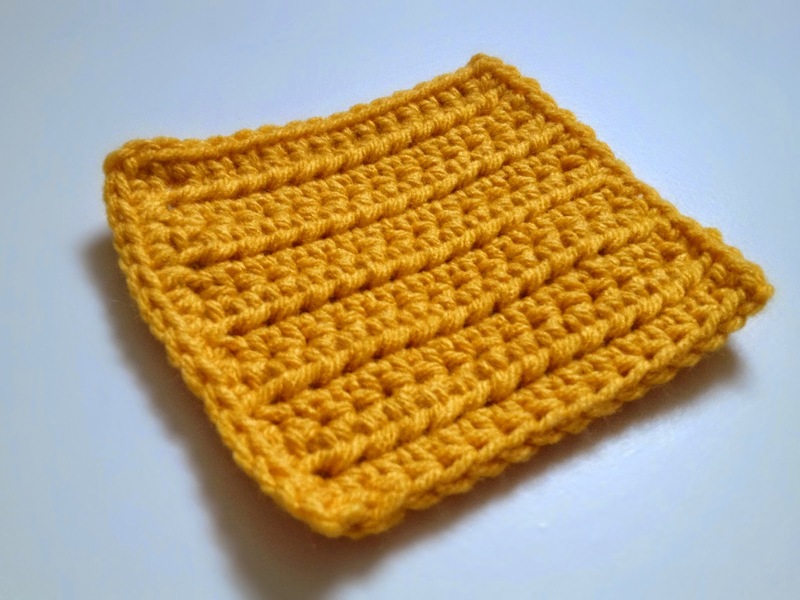 -Stitches places between these brackets [ ] indicate a group of stitches to all be worked into the same space. -Picot = Ch 2, sl st to top of hdc. -1 block = 1 group of 3 dc's. Row 1: Join with sl st at any corner, *Ch 5, sk 2 blocks, sl st between blocks* Repeat *to* around edge, ch 1 at each corner. Important: In the next row ch 2 at each corner. Row 2: Sl st into first ch 5 sp, ch 1, [sc, 3 hdc, picot, 2 hdc, sc]. *Sc into next ch 5 sp and work the following in the same space: [3 hdc, picot, 2 hdc, sc]. * Join with sl st to first sc. Fasten off and sew in ends.